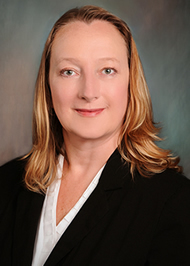 Julie MacGregor, PA-C, MPAS joined Idaho Urologic Institute in 2018. She has a Bachelor of Science from the University of Oregon and graduated from Idaho State University’s physician assistant program in 2013. She worked in urology in Oregon for 5 years prior to joining IUI. Julie is married with two teenage children. When not working, she enjoys spending time with her family, outdoor activities, traveling, skiing and Boise State athletics. She is a member of the American Urologic Association, American Academy of Physician Assistants and the Idaho Academy of Physician Assistants. She will see patients in our Meridian, Boise and Nampa clinics.